Heilbronn / Berlin / Munich, October 2016: Munich’s Deutsches Theater will be the venue for one of Germany’s most popular musicals from 5 October to 15 January 2017. In addition to twenty TG 1000 dual receivers, around forty TG 1000 beltpack transmitters with beyerdynamic TG L55c lavalier microphones are used in this stage entertainment production. The complete system was used in the production at Berlin’s Theater Des Westens from July to September and proved itself in tough conditions. “There can hardly be any other environment that demands such a high degree of robustness and reliability from transmitters and microphones as the stage in the world of musicals. The technical equipment has to work flawlessly, even when tough physical acting is required of the performers”, explains sound technician Peter Winckler. Not only do the capsules of the lavalier microphones have to withstand sweat and make-up, but also the transmitters concealed in the costumes have to take some punishment, for example when the script requires the actors to jump, fall to the floor and then roll across the stage in an uproar. For this reason, an additional supercapacitor is integrated in the transmitter to compensate for any power loss that may be caused by mechanical influences, such as falls or blows. In addition, close attention was paid to maintaining perfect attachment of the battery contacts by means of tight contact clips. The beyerdynamic TG 1000 beltpack transmitters and the TG L55c microphone make a real good impression. If a capsule has been affected by a mixture of sweat and make-up or if something at the socket has to be repaired, it is very easy to carry out this maintenance work. The microphone cables attached to the TG L55c are highly appreciated. 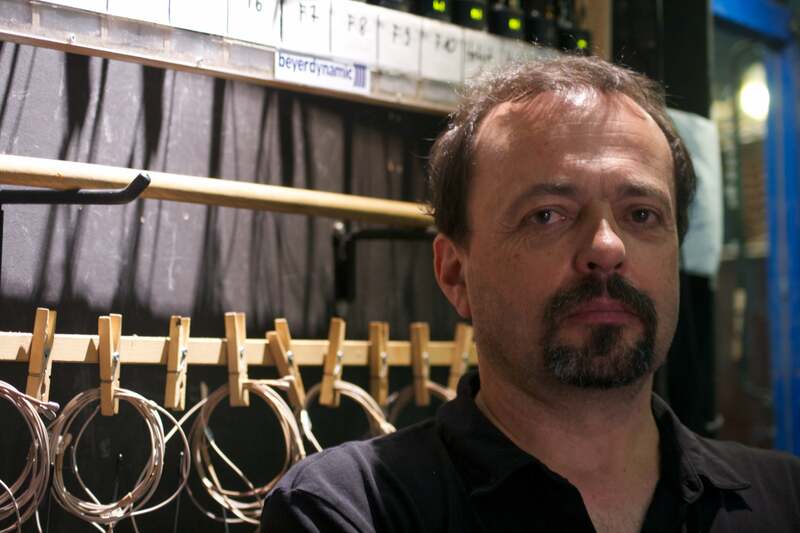 “These new beyerdynamic cables attached to the lavaliere microphones are really very robust”, explains Peter Winckler, who is, along with his colleague Mirko Preuss, responsible for the wireless technology at the Theater des Westens. Not only the sound technicians at Theater des Westens, but also the performers are delighted with the natural sound of the TG L55c lavalier microphones. Once again, the beyerdynamic audio philosophy proves its worth. As there is no factory-set frequency range increase or reduction, the signals sound very well balanced and authentic. This natural quality is enjoyed both by the audience and by the performers. “The natural sound produced by the microphones gives you a pleasant sense of security when you perform, because nothing you hear on the stage monitors sounds disturbing or strange” explains Jan Ammann, who plays Count Giovanni von Krolock. As the battery chargers take up considerably less space than the WA-CD charger from the beyerdynamic accessories range, all the batteries are removed from the transmitters for recharging externally. 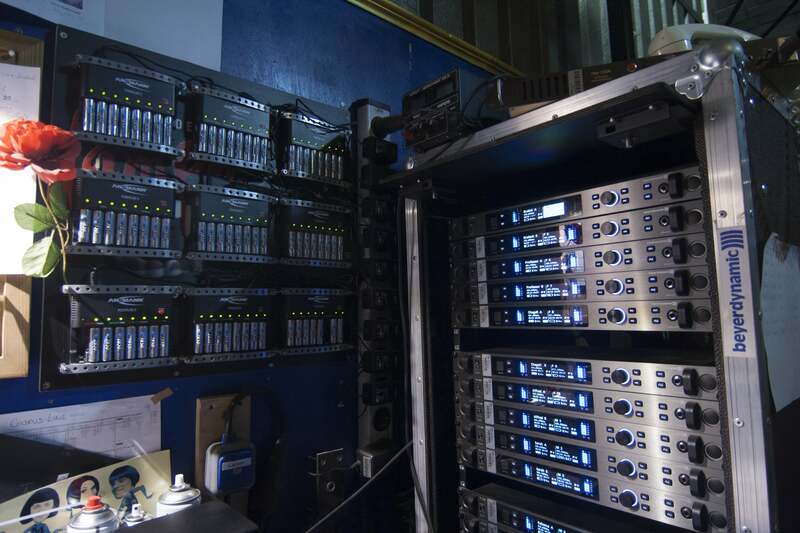 The sound technicians’ daily routine at Berlin’s Theater des Westens includes returning the recharged batteries to the thirty-seven transmitters (plus three reserve units), switching them on at six o’clock in the evening and then distributing them one by one to the performers. Towards 10.30 the transmitters are taken back by the sound technicians and prepared for the following day. Thanks to the excellent power supply there is even additional headroom in terms of operational reliability. Up until now there have never been any cases of power loss. The battery status can also be checked very conveniently on the displays on the receiver units. It remains to be seen whether the sound technicians in Munich will require a space-saving solution once the production has moved to Munich’s Deutsches Theater. The beyerdynamic TG 1000 system, with 24-bit resolution and overall latency of only 2.1 ms, offers the ideal prerequisites for live performance. It offers the capability of up to eight receiver units per antenna pair and the option to access the receiver’s user interface via an integrated web server (via Windows PC or smartphone), to name but only two of the many outstanding features of this professional system. Thanks to its remarkably large switching bandwidth of 319 MHz in the UHF frequency range (470–789 MHz), the beyerdynamic TG 1000 system is not only ideally suited for stationary use in theatres, but is also virtually predestined for the flexible demands of touring. 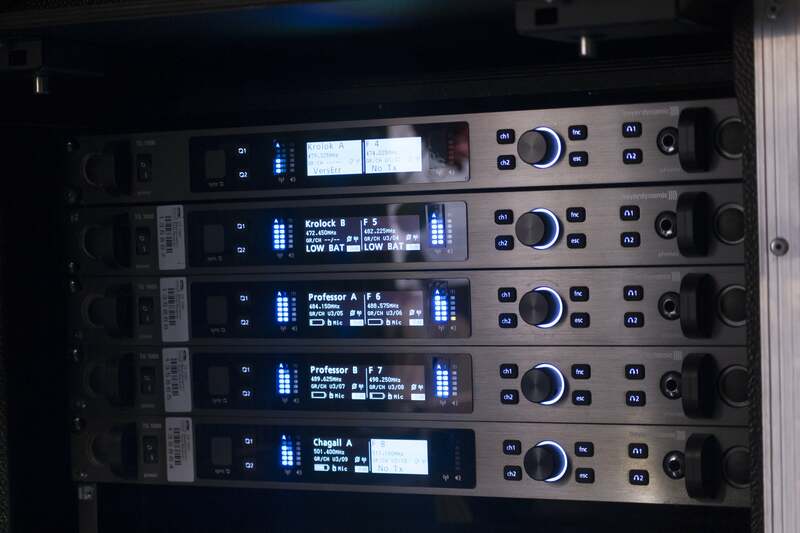 Seventeen dual receivers are also used in the stage musical production “Ich war noch niemals in New York”. 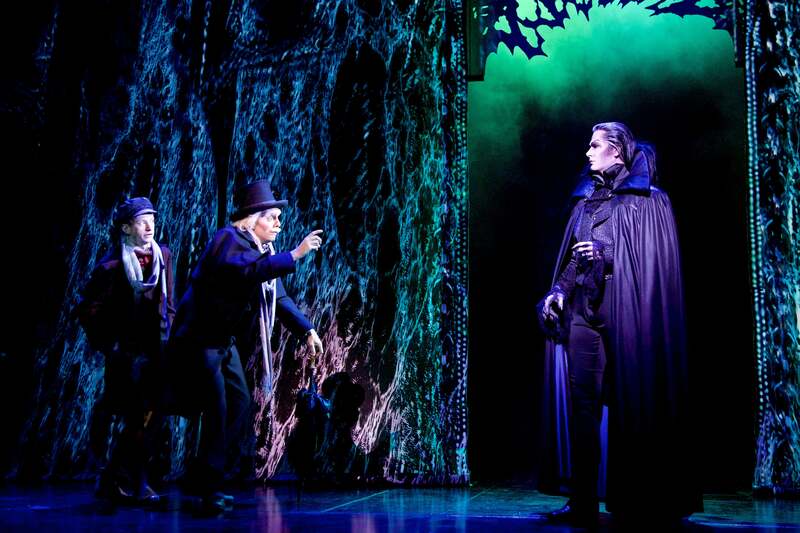 This makes Dance of the Vampires the second musical production to go on tour with TG 1000 systems. The Stage Entertainment GmbH decided to purchase the digital wireless system TG 1000 from beyerdynamic because its sound is absolutely convincing and its price is very competitive. 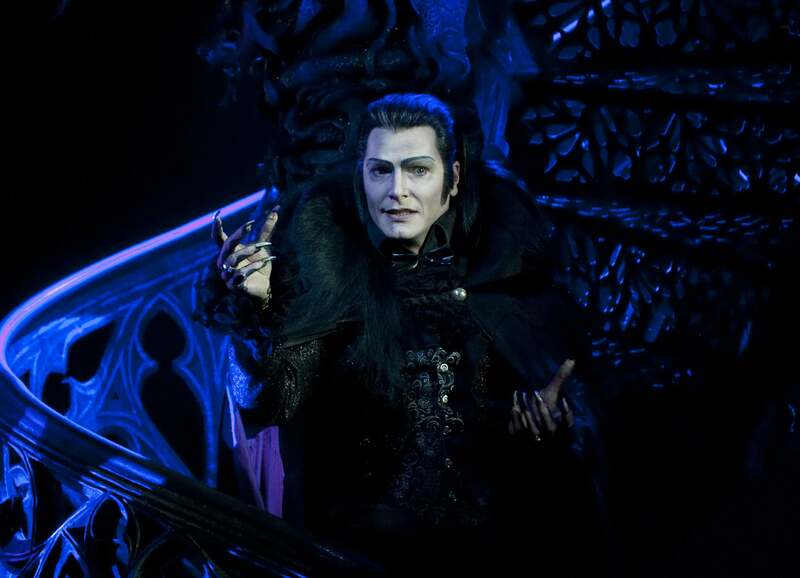 Dance of the Vampires is one of the most successful stage entertainment productions ever in Germany. The musical has so far been performed at all the other major venues in Germany (in Stuttgart, Hamburg, Oberhausen and in Berlin (Theater des Westens 2006 to 2008, then 2011 to 2013 and now in 2016). Oscar-winner Roman Polanski made his cult film “Dance of the Vampires” (original title: The Fearless Vampire Killers) in 1967 as a parody of the vampire genre. Polanski himself saw the film, which quickly became a classic, as a fairy tale that was intended to be pleasantly scary. In 1987 the Vereinigte Bühnen theatre company in Vienna came up with the plan to stage this hit film as a musical. Polanski himself directed the first performance. The successful German-language author Michael Kunze was engaged to translate the imagery of the film into scenes, songs and choruses. The music was composed by the legendary songwriter and producer Jim Steinman. He succeeded in perfectly capturing the atmosphere and essence of the film and transforming this into music. The choreography was directed by Dennis Callahan. Oscar-winner William Dudley created the brilliant set, while the impressively detailed costumes were designed by the renowned designer Sue Blane. Dance of the Vampires premiered to great acclaim at the Raimund Theater in Vienna on 4 October 1997. Ten years of development work by the creative team had gone into this project. But this thorough preparation proved worthwhile: again and again – and still today – audiences are fascinated by the ingenious mixture of rousing rock songs, extraordinary dance sequences, finest comedy and impressive costumes and scenery. Hardly any other German-language musical has such a cult following. By the time the first performance begins at Munich’s Deutsches Theater on 5 October 2016, 7.5 million spectators will have seen this musical. The musical will run in Munich till mid-January. Ticket sales for all the performances have been brisk. The opening performance, however, has long been sold out.